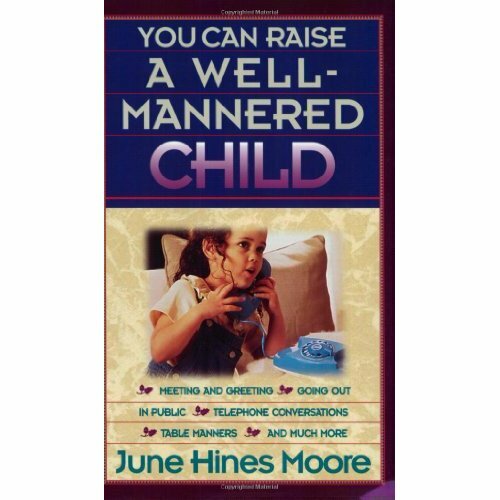 A great book for instructing children in manners from a Christian perspective. The author, June Hines Moore, describes the book in this way: "How-to books proliferate in the marketplace. But I can find none that teach parents and grandparents how to teach manners... In the midst of their fast-food, fast-paces lives, these parents have asked for help." This book is based on hundreds of classes taught to children, teens, adults, and Fortune 500 executives who realize tha in today's academic and business environments, good manners are a valuable competitive advantage. June Hines Moore. Softcover. 208 pages.